The Universities of Medway is a unique collaboration which brings together the University of Greenwich, the University of Kent, and Canterbury Christ Church University to provide a huge new campus at Chatham Maritime. Effective August 2018 the campus has a new University PCSO Liaison Officer – Sean Brooks. Sean can be contacted on: sean.brooks@kent.pnn.police.uk and on 07929 047279. Sean is dedicated to the Medway Campus. The £120 million scheme is the first of its kind in the country and aims to open up higher education to as many people as possible. Each of the partners welcomes applications from people without traditional qualifications, as well as from those entering higher education through a more formal route. Each partner is also committed to the highest standards of teaching and support services expected by students in the 21st century. The shared campus is an economic, social and cultural focus for the Medway region, and is at the heart of the strategy to bring renewed economic prosperity to Medway. The campus is also home to Medway School of Pharmacy, which opened in 2004. Jointly established by the Universities of Kent and Greenwich, the School has been a great success and has won a prestigious seal of approval from the Royal Pharmaceutical Society of Great Britain. In 2015 Greenwich and Kent Universities announced plans for a further investment in student facilities at the Medway Campus with the creation of a new student union building; work began in August 2015. The building, formerly used as a swimming pool, is being brought back to life and will be a vibrant hub for students to enjoy. It will have a flexible entertainment and social space and an Advice Centre together with offices for GK Unions and bookable activity space for students. It is being designed based on lots of student feedback and is expected to open in Autumn 2016. In November and December 2015 students voted on the names for the new building and the bar/café area. After receiving 118 suggestions, the student building steering group short-listed the names. Over 1,200 votes were received in total and it was great that students had shown such a keen interest. The student building is to be called the Student Hub and the bar/café will be named the Deep End. Up until the end of July 2016 Cardy Construction was working on building the new student hub. Cardy went into administration which inevitably impacted on completion of the project but the brand new facility is now open. The new student hub had a soft opening on Monday 16th January 2017; it is set across two levels. The former Navy sports hall features a café and bar, open-plan spaces for meetings and social activities as well as spaces for reading or working. There is a cinema-style big screen for movie nights and students can also watch Sky Sports on flatscreen TVs. An official opening will be held in March. The Student Hub offers a host of activities on and off campus. 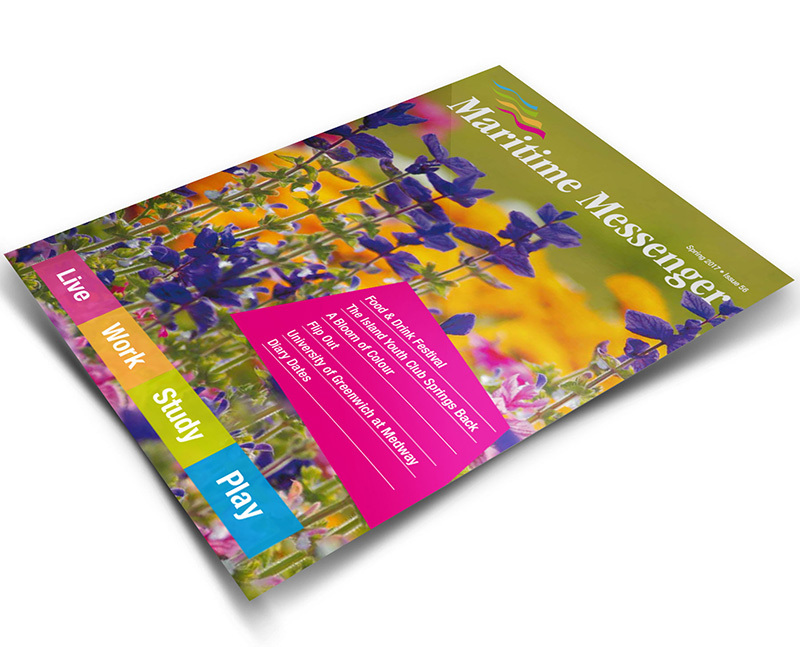 To check out what’s on offer click here. Activities include film screenings, cocktail workshop, jewellery making and more. Any questions contact the Give it a Go team on giveitago@gkunions.co.uk. For all information check out GK Unions. 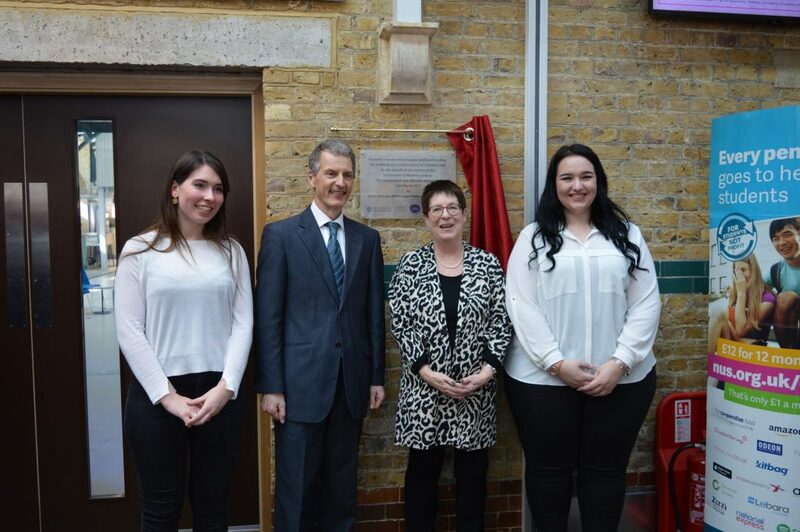 On Thursday 23rd March Dame Julia Goodfellow and Professor David Maguire officially opened the new student hub. They were given a tour of the new facility, met students and unveiled a plaque to mark the occasion. Alison Chambers has been appointed as the new Head of GK Unions Partnership. Alison has event management experience and facilitating student-led activities and will join the Medway Campus team from the 16th September, just in time for the new arrivals on campus. Alison can be contacted by email: Alison@gkunions.co.uk and by telephone on 01634 888925. 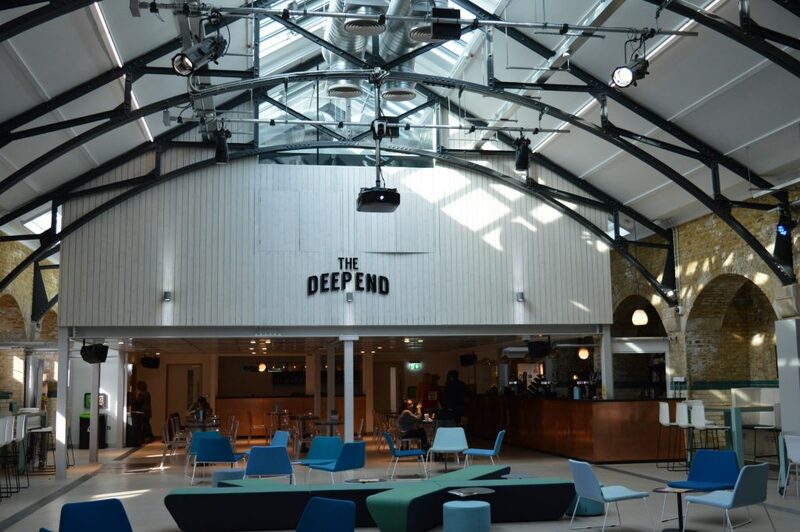 Hannah Plewis has been appointed as the new Deep End General Manager. Hannah joined the team at the Student Hub at the end of August and has over 20 years experience working within the hospitality industry. Hannah’s contact details are: Hannah@gkunions.co.uk and by telephone 01634 888989. The Faculty of Engineering and Science at the University of Greenwich at Medway has just announced its series of lectures for the forthcoming academic session; these have been rebranded as Great Talks at Medway. 17th October 2018. The Beast from the East & The 2018 Heatwave; is this a sign of things to come? 14th November 2018. Just How Human Are We? The relationship between our bodies, our gut bacteria, health and disease. 12th December 2018. Science and engineering of Cheese Making. 16th January 2019. Food, Feed & Pharmaceuticals – from salt water, CO2 and sunlight. 13th February 2019. “Better Together” building teams and making them work. 13th March 2019. The latest breakthroughs in cancer research. These lectures take place in the Wardroom, Pembroke Building on the University of Greenwich (Medway Campus) ME4 4TB. They start at 6 pm and will be followed by light refreshments. As these talks are FREE they will be hugely popular and admission is therefore by registration only. Places will be allocated on a first-come, first-served basis. To register a place on any of the above lectures or to find out more information call 01634 883495 or email: FES-public-lectures@gre.ac.uk. Free parking on campus after 5 pm arrival. Tuesday 5th February 2019 at 11 am – Developing appropriate technologies to reduce good waste. Presented by Marcelo Precoppe of the Natural Resources Institute. Tuesday 12th February 2019 at 10 am – Sustainable manufacture and the great competition. Presented by Thomas Empson – The Design Museum. Tuesday 12th February at 11 am – Artificial Intelligence – the present state of affairs and future directions. Presented by Wai H Tsang – Public Speaker, Writer, Thinker and Computer Programmer. Tuesday 19th February at 9 am – the Engineer’s obligations to society, environment and the profession. Presented by Malcolm Peake – Institute of Civil Engineers. Tuesday 19th February at 11 am – The importance of customer service in engineering. Presented by Brian Simpson – Independent Consultant. Tuesday 26th February at 11 am. Engineering for inclusion. Presented by Professor Tom Shakespeare – Faculty of Infectious & Tropical Diseases, London School of Hygiene & Tropical Medicine. This short series of lectures takes place at the University of Greenwich (Medway Campus) in the Wardroom (LT129) in Pembroke Building.